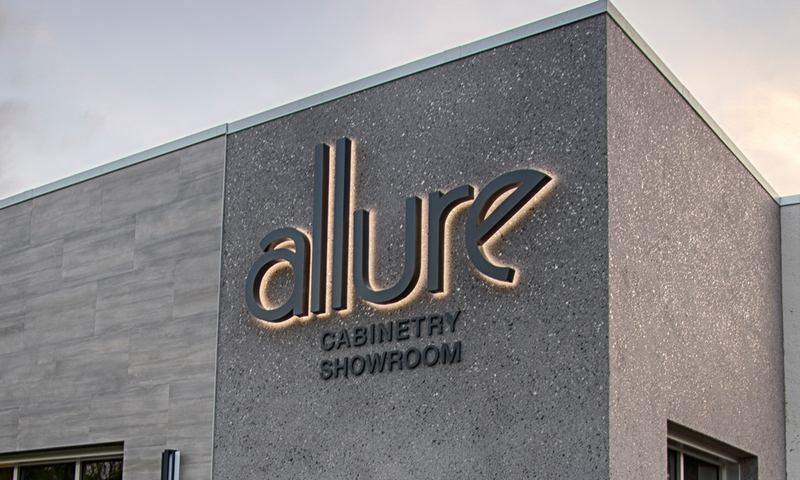 Allure Cabinetry & Showroom of Naples has launched its website: AllureCabinetryFL.com. Allure Cabinetry & Showroom, LLC, is a full-service cabinetry company offering trend-setting design and installation services. The 8,400-square-foot showroom features over 20 displays showcasing five cutting-edge kitchens, five bath vanity displays, outdoor living areas, laundry room and hobby area, a formal bar, a home office and hidden desk, a library and family room built ins. Allure specializes to the trade, working with some of our area’s home builders, architects, interior designers and contractors looking for kitchen and bathroom cabinetry, as well as millwork and specialty items, for new or existing homes to be remodeled. The showroom is located at 3573 Mercantile Avenue and is open Monday – Friday, 9 am to 4:30 pm, and Saturday by appointment. For more information call (239) 417-4300.